Each time we go to London – now more for pleasure rather than business – we try to explore a new bit, or revisit an area long neglected. This time is was Nottinghill, an area in the forefront of gentrification some years back, as the original sub-divided houses were reclaimed, “knocked-through” as Alan Bennett would put it [an early resident – pioneer even] and unified as family houses at stratospheric prices. 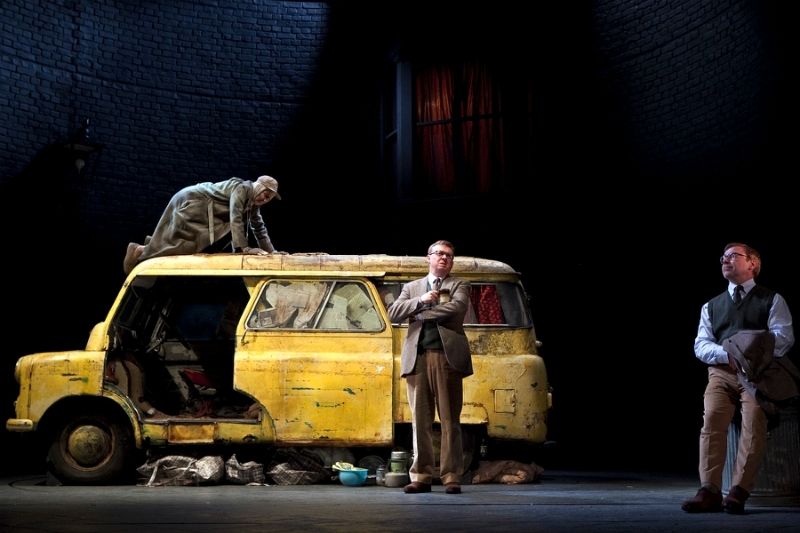 Alan Bennett set The Lady in the Van here, telling the story of Miss Shepherd living in a series of custard yellow vans, first on the road then in Alan’s driveway, from the early 1970s until her death in 1989. Bennett concedes that “One seldom was able to do her a good turn without some thoughts of strangulation”, but as the plastic bags build up, the years pass by and Miss Shepherd moves into Bennett’s driveway, a relationship is established which defines a certain moment in late 20th-century London life which has probably gone forever. The dissenting, liberal, middle-class world of Bennett and his peers comes into hilarious but also telling collision with the world of Miss Shepherd: “there was a gap between our social position and our social obligations. It was in this gap that Miss Shepherd (in her van) was able to live”. Jerry Brotton in Good Reads. The stage version with Maggie Smith was outstanding. Apparently [according to Digital Spy and many others] she is going to star in a BBC-sponsored film of the Lady in the Van, which will be written by Bennett and directed by Nicholas Hytner. The pair previously worked together on The History Boys. There’s still the famous market, lining Portobello Road with every manner of trinket [sounds like Dickens] for the strolling browser. Yes, we bought two scarfs we didn’t need. Turning into Westbourne Grove we realised how much the area had changed, in an upwardly mobile direction, with branches of major design-led shops – another Fulham Road, or Marylebone High Street. And the pavements white with flakes blowing around. In Yorkshire we would have said snow but, being April in London it was…magnolia petals from the trees lining the road. Ah, the north-south divide. With many places to stop and shop/eat/stare we took guidance from Max Fraser’s London Design Guide – our second copy now – and headed up to the Dock Kitchen, off Ladbroke Grove and at the side of the Grand Union Canal. The restaurant has an open, light feeling matching the simple and imaginative food – experimental, they call it, in a nice way. 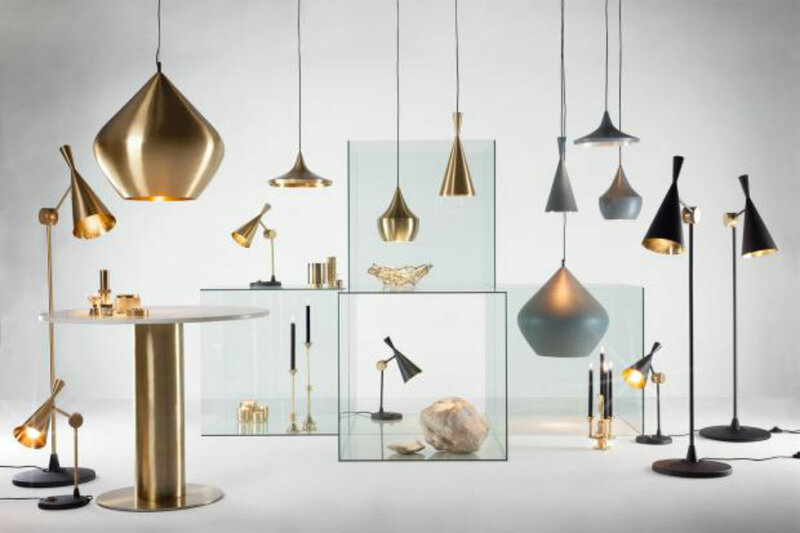 Tom Dixon displays his range of furniture here and there’s a shop below the restaurant – you might recognise many of his designs – a varied and interesting range including furniture, clothes, shoes, lighting and gift ideas. Different. Even the set 2 course lunch wasn’t cheap, by the time you add a glass of wine, water and coffee. It is London, so what do you expect?